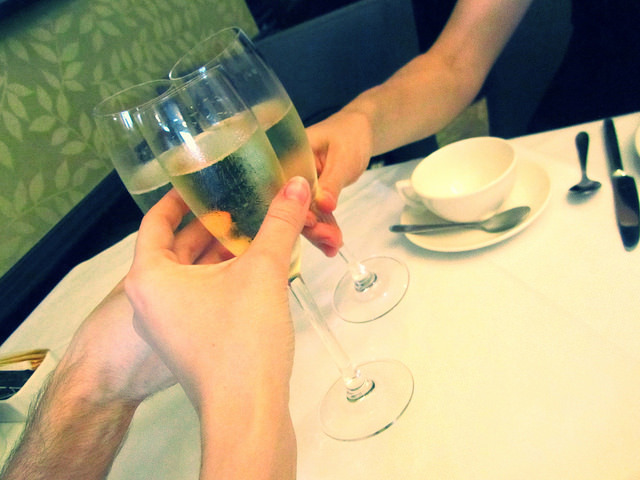 Afternoon teas are one of my favourite things to do in London. Being based in the city, everyone is always so busy and sometimes it's nice to sit, drink tea, and watch the world go by. 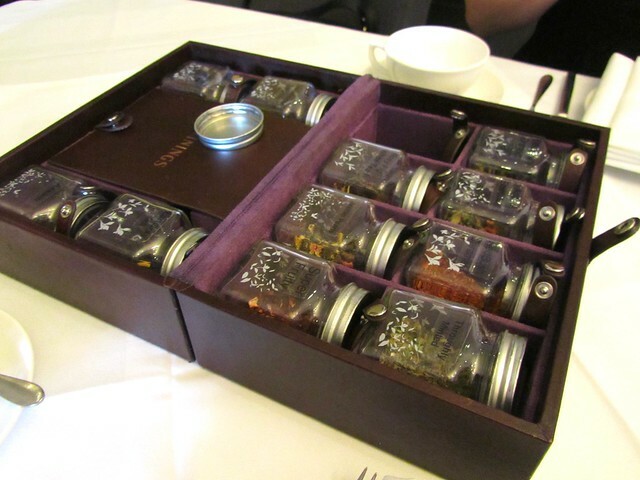 Upon arrival we were presented with a chest of twelve loose teas, all contained in little screw top jars. The lady told us we could have as much tea as we liked - we could even try all twelve teas if we really wanted! To start we all ordered the same tea (apple and elderflower). A mistake. Don't get me wrong, it was a delicious tea. But it would have been a far smarter choice to order a few different ones and share them amongst us. Because after that point, no one at the London Green Park Hilton offered us any more tea. At an afternoon tea. I am still reeling from this. It was a Monday and it was dead - so it wasn't like the staff were rushed off their feet and too busy to attend to us. As the tables around us emptied and we became the only table of people there, the staff just disappeared. We were sitting without tea for a good long while and when I finally spotted someone and beckoned them over, she seemed confused by our request for more tea. It was like we were at a pet shop and had asked for a bowl of cereal. Except that clearly wasn't the case. Before I beckoned this lady over, she had been setting up tables for breakfast the next day. Bearing in mind this was early afternoon still, and not close of play, it really frustrated me that a) no staff were around and b) when they were, they weren't paying the slightest bit of attention to paying customers. Other than that it was a lovely afternoon tea. 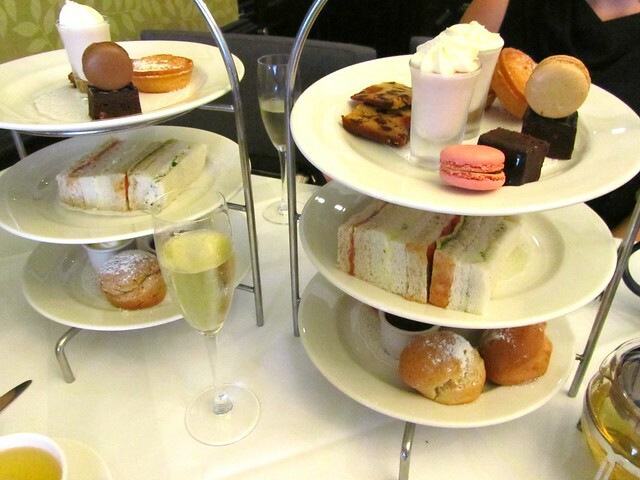 The sandwiches were some of the best I have ever had at an afternoon tea (and that is quite some feat!). The scones were MASSIVE and quite dense, so unfortunately I got a little too full to enjoy the full extent of the cakes. But there was a good sweet selection there which included macarons, fruit cake, lemon & coconut tart, walnut brownies and a raspberry posset. To be honest, I wouldn't go back on account of what we experienced with the tea. Because the clue is in the name - afternoon tea. But still, you live and you learn. The food looks lovely and that tea chest is great! It's a shame about the service - I would definitely expect better at an afternoon tea.